Limerick manager Martin Russell will “try to instil belief” into his players that they can achieve the desired result against Shamrock Rovers this weekend, even in the absence of top scorer Rory Gaffney. The Superblues make the trip to Tallaght Stadium on Friday night, kick-off 7.45pm, without their No1 marksman who has netted 11 goals in the last 12 league games. That run began just nine minutes into their 4-1 hammering of the Hoops at Thomond Park in early August, with his rich run of form earning Limerick 21 of a possible 36 points. Russell’s side have hit a total of 19 goals in that period, with on-loan Cork City winger Ian Turner and wide-man Kieran Djilali the next highest scorers on two. Limerick travel to the capital – where they have only lost once in seven outings this season – knowing a point would secure a top-half finish for the first time since 1993, but fifth place is still in their sights. To achieve that, they must win and hope Cup finalists Saint Patrick’s Athletic do likewise at Sligo Rovers – who the Shannonsiders defeated 1-0 last weekend. And the boss wants his players to believe that they can do so even without Gaffney. “We’re playing well as a group and particularly in an attacking sense we’ve created good chances. The unit as a whole has been able to achieve results,” Russell said in this week’s pre-match press conference at the Clarion Hotel. “Players are having pride in performances and we still want to challenge the players to try to finish higher than last year. They have all bought into that and they all want to do that if possible. 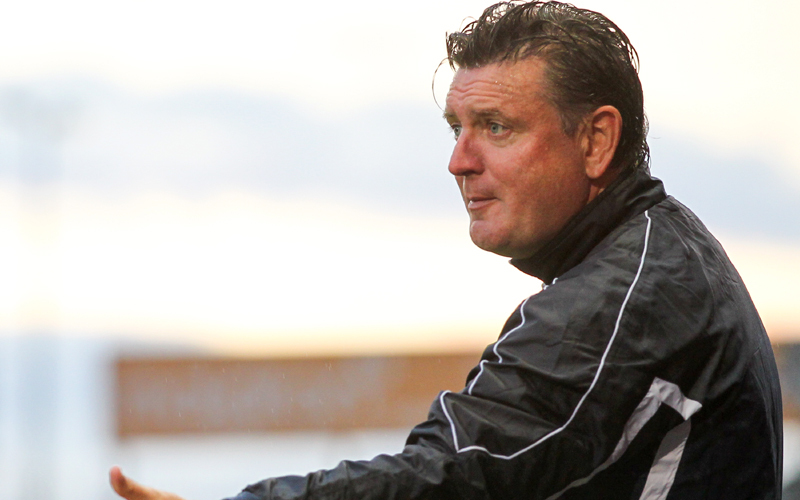 “We’re hoping to go to Tallaght and put in a performance that gets us that position. We have only lost once in Dublin this year; we’ll try to instil belief into the players, the fact that they can point to travelling to Dublin before and doing well in games. It’s another thing that will help confidence. “We’ve had wins and losses and in both results there is stuff that you feel you have to work on. You’re never fully happy. But I think there are individuals that have honed into what I want from them and they’ve benefitted. Sixth-placed Limerick – who finished seventh last season with 42 points – would better that placing and equal their points total with a draw, but they still harbour outside hopes of fifth place, which would be their highest position since third in 1989. They come into this weekend on the back of a three-game winning streak – defeating Athlone Town 4-2, overcoming Derry City 2-1 at The Brandywell and edging past Sligo 1-0 last Friday. That sequence of results has catapulted them back into the top half, and now they will look to get back on form in Dublin, having lost for the first time there this season on their last outing at Bohemians last month. In total in the last round of matches so far, they have taken 18 from a possible 30 points, just one less than Dundalk, who could be crowned league champions on Friday. Fourth-placed Shamrock Rovers, meanwhile, come into the game unbeaten in six outings in the Premier Division, winning three and drawing three, with last weekend seeing them come out on top 2-0 in Drogheda. They have also been in good form at Tallaght Stadium where they have won their last four league games without conceding a goal, but their hopes of finishing third have all but vanished due to an inferior goal difference to St. Pat’s. Recent Meetings: The sides have met twice this season. In Dublin in May, there was a dramatic finish. 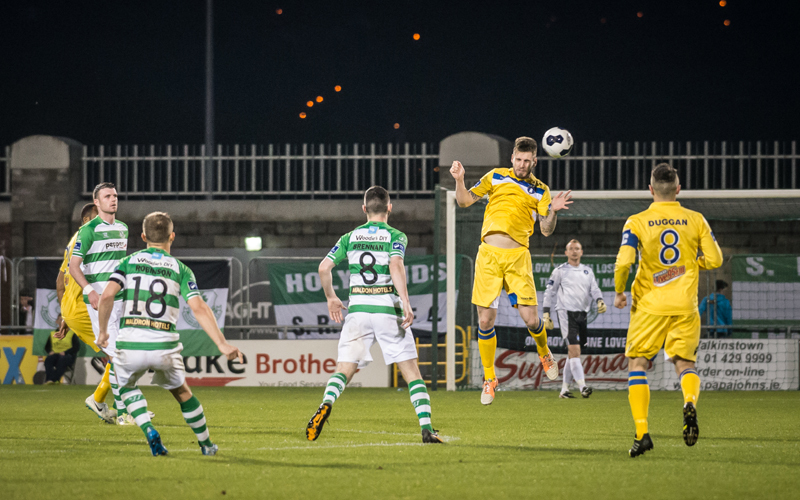 Gaffney had given Limerick a 14th-minute lead before Gary McCabe saw a penalty saved by Barry Ryan past the hour. Then deep in injury-time, Rovers were awarded another spot-kick which saw Ryan sent-off; stand-in ‘keeper Shane Tracy saved it from Seán O’Connor but Jason McGuinness followed in to net a 96th-minute equaliser. At Thomond Park in August, Limerick gained revenge by winning 4-1 thanks to Gaffney, Turner, a Conor Kenna own-goal and Stephen Folan. That extended the club’s unbeaten run against Rovers to three games, having won the final meeting last season 2-0 in Limerick thanks to Jason Hughes and Gaffney. Team News: Limerick are without top scorer Rory Gaffney who serves a one-match ban having accumulated eight yellow cards. He has netted 14 of Limerick’s 37 league goals this term, having started all but one of the 32 games so far. Manager Martin Russell must also again do without the services of left-back Robbie Williams (hamstring) and winger Jack Doherty (hip flexor). Young Player of the Year Jason Hughes continues to recover from a knee injury. Midfielder Joseph Ndo is available again having sat out last week’s visit of Sligo due to the terms of his loan agreement. Officials: Referee for the game is James McKell, his assistants are Lee Bevans and Darragh Keegan while the fourth official is Seán Grant. It is the third time McKell will have refereed a Limerick game this term. He oversaw the 4-0 loss to Cork City in the League Cup at Turner’s Cross in March and the 4-1 win over Rovers in August.